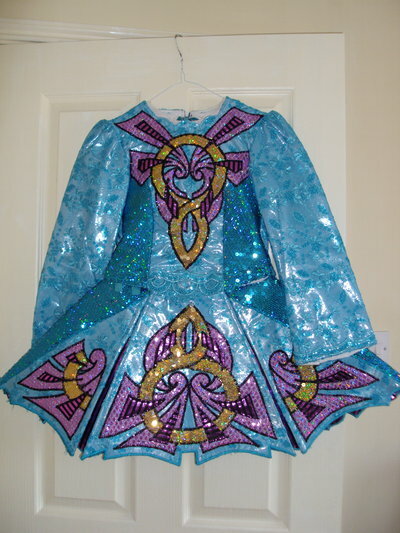 The dress is made from a turquoise, metallic material covered by lace. 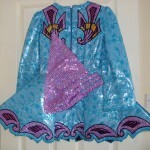 It also has sparkly, sequinned turquoise side panels. 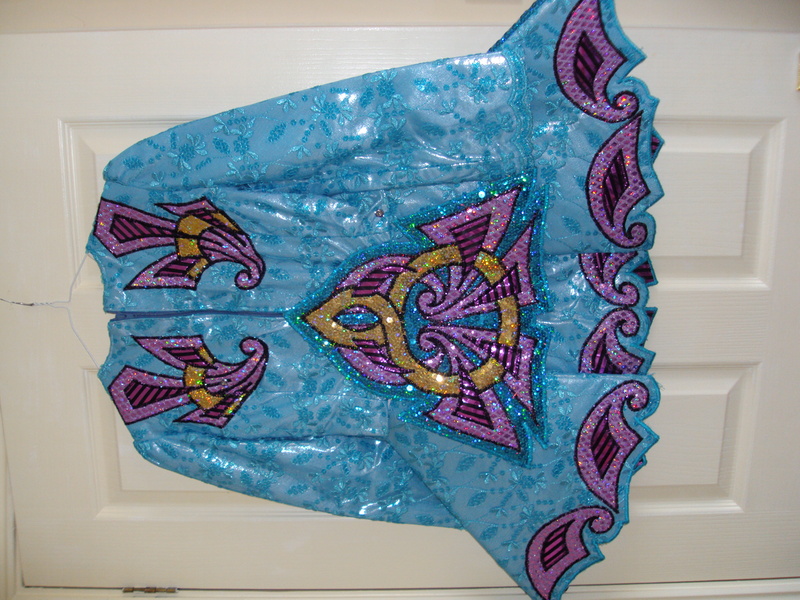 The celtic design is made from gold and pink shiny fabric. When you kick the lining is the stripey, pink/black material which forms part of the pattern on the front. Knickers are made to match in pink/black stripey material. The dress comes in 2 pieces, firstly a dress, then the bodice attaches over this. 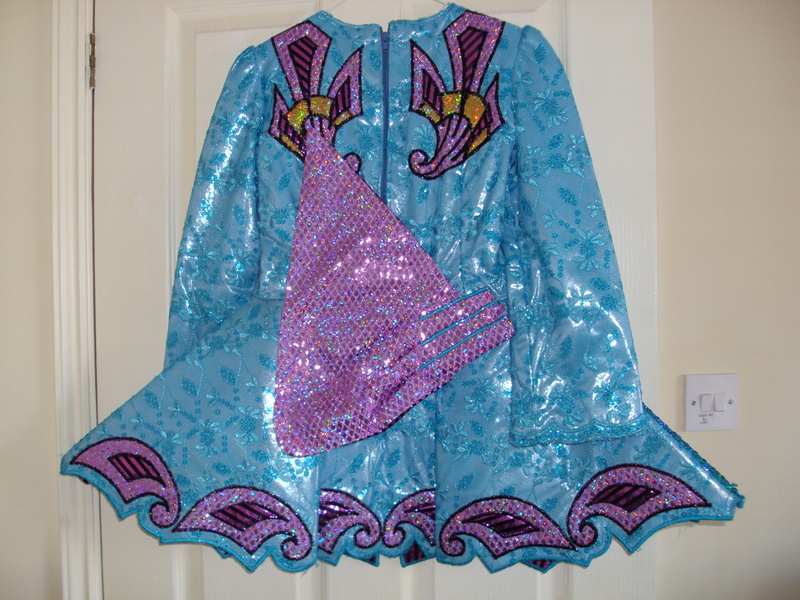 A small piece of material to match forms the headdress. 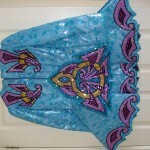 The dress has two shawls, so that you can alternate. Asking Price: Â£300. Shipping costs are not included. Sale is final.